Stock product - detailed vector illustration - Illustration Vector Collection - Traditional Portugal Ceramic Porto Vintage - created by Aurielaki. Image formats EPS AI JPG. Indigo blue azulejo vintage pattern. Porto set paint tile floor oriental Portuguese collection. Seamless pattern Portugal geometric ceramic design. Vintage illustration background vector texture pattern. 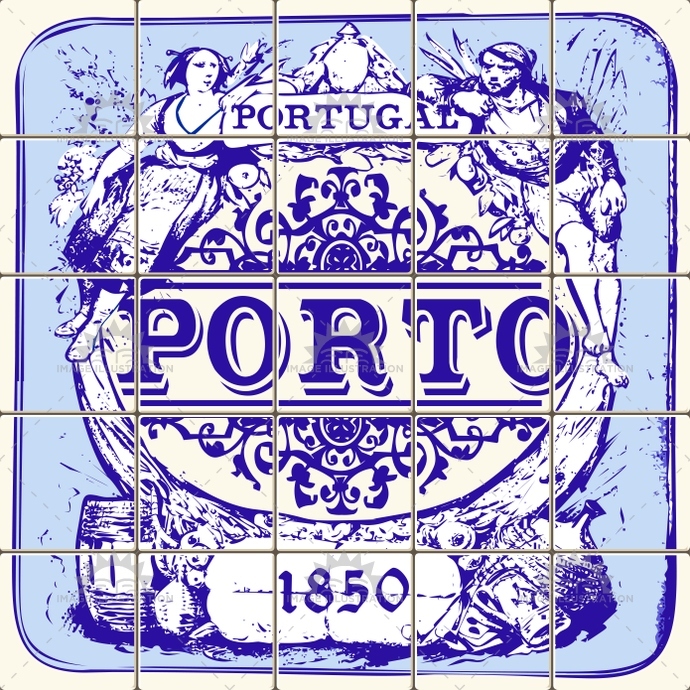 SKU: Traditional-Portugal-Ceramic-Porto-Vintage-Vector-Illustration-AurielAki. Category: Azulejos Vintage. Tags: abstract, arabesque, azulejos, background, blue, brocade, ceramic, clipart, collection, color, cover, curly, decoration, decorative, design, elements, floor, floral, flowers, geometrical, Glazed, illustration, indigo, interior, moroccan, mosaic, oriental, ornamental, Painted, pattern, porto, portugal, retro, set, spain, square, template, texture, tile, tiled, Tilework, traditional, vector, vintage, wall, wallpaper, web, wrapping.